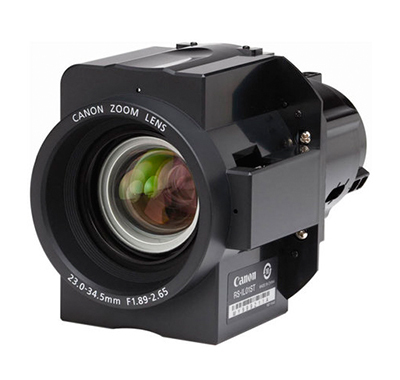 The Canon RS-IL01ST 1.49 to 2.24:1 1.5x Zoom Projector Lens is designed for use with the Canon REALiS WUX4000, WUX6000, WUX6010, and WUX6010D projectors. Its throw ratio of 1.49 to 2.24:1 will allow you to place the projector a moderate distance from the screen, while its powered focus, lens shift, and 1.5x zoom will allow you to fine-tune your image for the proper size, placement, and clarity. It is designed to produce images ranging from 40 to 600".